This is a concise listing of all events in this country that are associated with the International Year of Crystallography 2014 and its follow-up initiatives. Hundred years of Crystallography Zagreb A review by B. Kojić-Prodić and K. Molčanov in Croatian journal Chemistry in Industry. Croatia: crystal growing competition Nationwide A Crystal Growing Competition in Croatia organized by the Croatian Crystallographic Association will run between 15 September and 30 October 2014. English-Croatian Dictionary of Crystallography Zagreb English-Croatian Dictionary of Crystallography, Solid State Physics and Materials Science, containing 1670 terms with a short description of each term in Croatian, to be published in 2014 by the Institute of the Croatian Language and Linguistics, Zagreb, Croatia. 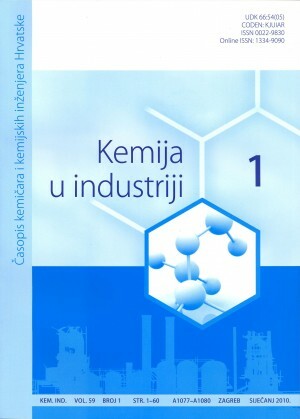 Authors: Stanko Popović (spopovic@phy.hr), Antun Tonejc (atonejc@phy.hr) and Milica Mihaljević (mmihalj@ihjj.hr).